Innovation and progress are an inherent part of our society. It’s only safe to assume that medical technology advancements would also slowly infiltrate our daily lives, allowing healthcare professionals to better treat those in need of their care. But it isn’t just the diagnostic process that medical technology has improved on. Better quality of life is now achievable thanks to technological improvements in medical fields and countless lives can now be saved thanks to procedures and devices created by the perseverance and imagination of medical engineers. Not so long ago, the idea of having your steps counted by peculiar wristbands or having the same wristband record heart rates and sleep cycles seemed too sci-fi to consider. Now, the so-called new-fangled contraptions are everywhere: integrated into smartphone apps or as standalone fitness watches and are no longer novelties, but rather a logical outcome to technology’s constant advance. Medical technology has allowed transportation services to emerge and thrive by incorporating the required tech in everyday vehicles. Life support and CPR has been made easier as medical technology produced automatic external defibrillators to aid in the process. But how exactly did medical technology and its progress contribute to better healthcare and can it further advance the way we view medical care? Finding a simple definition to a complex concept isn’t easy and medical technology is just one of those complex concepts. Though, if one were attempting to define it, medical technology could be viewed as the multitude of technologies being employed in healthcare. Medical technology implies every and any instrument, material, appliance, apparatus, software or other object that is used either by itself or as a combination with specific medical purpose, be it diagnostic, therapeutic or for monitoring purposes. The aforementioned object has to be intended by its manufacturer to be used for human beings. From saving lives to reducing suffering, from diagnosing to treating, from monitoring to preventing, medical technology is used ubiquitously. Of course, when considering technology, one doesn’t consider objects such as plasters, gloves, IV lines or syringes as tech, when it fact it is. Every aspect of the medical act: wheelchairs, spectacles, hearing aids, body scanners, CT scanners, MRI machines, valves, pacemakers, stents and countless more can be traced back to medical technology. It’s nigh-impossible to explain just how medical technology advance has changed healthcare for the better. Improvements and technological developments have been the root cause of incredible changes in the area. Perhaps one of the most important contributions involves data analysis and consumption. The medical field relies on data for virtually any decision so analyzing the data collected from patients is essential. But medical technology isn’t just used to determine biological parameters or analyze diagnostic reports. Portal technology allows healthcare providers to better track patients. Now, a patient is able to retrieve his medical information remotely. Apart from the decrease in medical errors, portal technology contributes to a patient’s peace of mind and sense of inclusion in his own healing process. When patients are given the opportunity of becoming active participants in their treatment, they are more compliant and often display better results. Remote monitoring has been experiencing similar improvements. 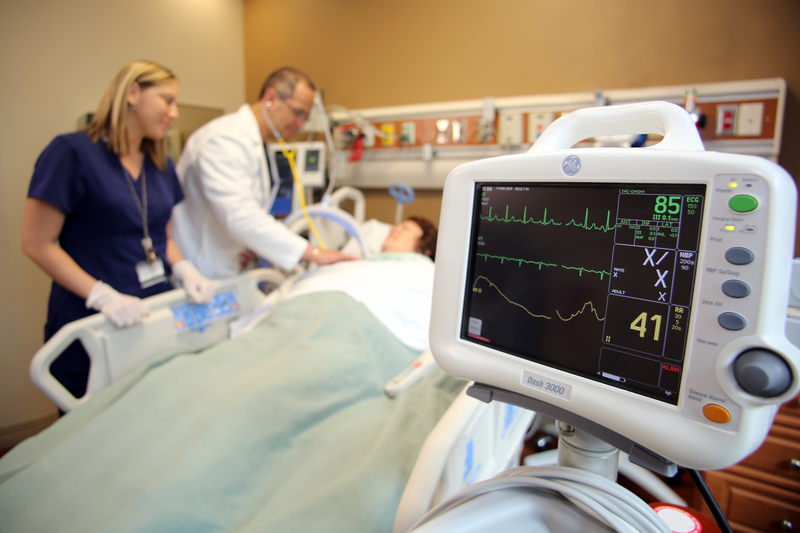 Possibly one of the most practical medical technology innovations, patient monitoring tech isn’t just hospital-bound. Healthcare is truly making strides towards the future as remote monitoring programs now permit physicians to continue checking their patient’s vitals and evolution despite the patient has been discharged. On the one hand, remote monitoring has led to a decrease in recurring doctor’s visits. On the other hand, it reduced both time and costs associated with follow-up treatment. Medical technology has also contributed to communication improvements, especially since patients often complain about poor understanding of their ailments as a direct result of communication issues. It has improved patient-doctor and doctor-doctor communication by allowing direct discussion avenues. Social networks are being developed in order to provide medical specialists with a safe communication haven and, presently, 40 percent of all US physicians are already members of Doximity. Translation software, such as Omnifluent Health, attempts to break yet another communication barrier by instantly translating spoken words into different languages. Diagnostics has significantly improved with the progress of tech advancements. In the past, an accurate diagnosis would rely in invasive maneuvers and although some specific pathologies require painful biopsies, there is a plethora of ailments which can now be diagnosed non-invasively. Melanoma, for instance, could only be diagnosed via invasive biopsy until recently. However, new medical technology allows the same disease to be diagnosed without surgical intervention. The MelaFind Optical Scanner allows dermatologists to eliminate uncertainty from the diagnostic process. With the help of this handheld device, skin tissue is easily analyzed. It employs the same type of technology that missile navigation systems used to scan surfaces. The suspicious lesion is scanned and processed by the tool’s intricate system. In the end, the image is compared to an image registry in order to provide a diagnosis. But there are countless other minimally invasive procedures that medical technology companies have made easier. Wright Medical, for instance, has dedicated its expertise to developing minimally invasive surgical techniques. In orthopedics, Wright Medical’s countless products, such as the MIIG injectable synthetic grafts ensure a trauma surgeon’s intraoperative structural support, ease of administration as well as an uncompromised bone structure. Wright’s MICA devices can be used by surgeons in a wide variety of situations and complex osteotomies. Ultrasound scans (3D and more recently 4D) have made a massive difference not just in obstetrics but in the healthcare sector overall. Imaging is an essential part of the medical progress and ultrasonography is a quick, cost-efficient way to diagnose a wide variety of ailments. Physicians are now able to accurately track pregnancy evolution and ensure the highest ultrasound image quality while also taking more precise measurements than ever before. Doctors use ultrasounds in order to track fetal growth (modern ultrasounds automatically compare the measurements being taken to normal growth percentiles and calculate whether the fetus is developing correctly. Ultrasounds are also used to detect birth defects and amniotic fluid abnormalities (which could also point towards several congenital defects), placenta location and insertion, umbilical cord aspects and possible malformations. Wearable devices were considered curious and failed to inspire trust in the past. Nowadays, though, the situation has changed and such devices can clearly demonstrate their life-saving potential. From medical alert pendants to electronic sensors, such devices trigger emergency medical team dispatches and alert healthcare providers in the case of emergencies. Other devices allow patients to push a button and summon emergency assistance while automatic monitors, such as those intended to prevent SIDS (sudden infant death syndrome) contribute to survival increases and clearly impact the medical field. Sensors and monitors can also be used to monitor heartbeat (and its irregularities in the case of arrhythmia patients), body temperature, movement, sleep patterns and the applications are endless. Remote monitors also contribute to an increase in quality of life for pacemaker patients. The monitor is capable of recognizing frequency abnormalities and transmitting the device data from the implantable device to the primary care physician. Despite other major markets, the United States has maintained its position as the foremost medical device market worldwide. 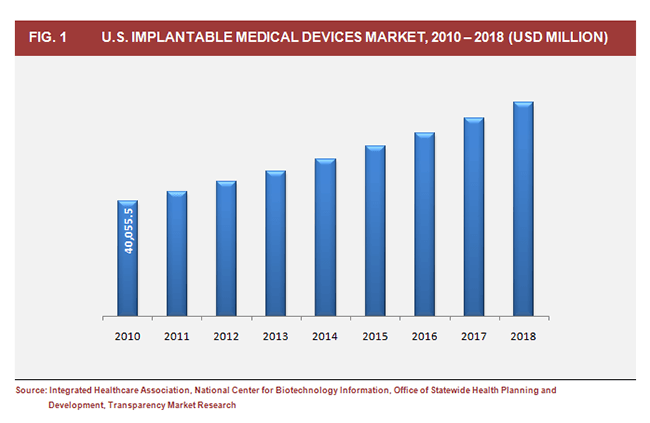 With a current market size of roughly $110 billion and an estimated $133 billion market size by the end of 2016, the American medical device market is clearly a strong component of the American economy. 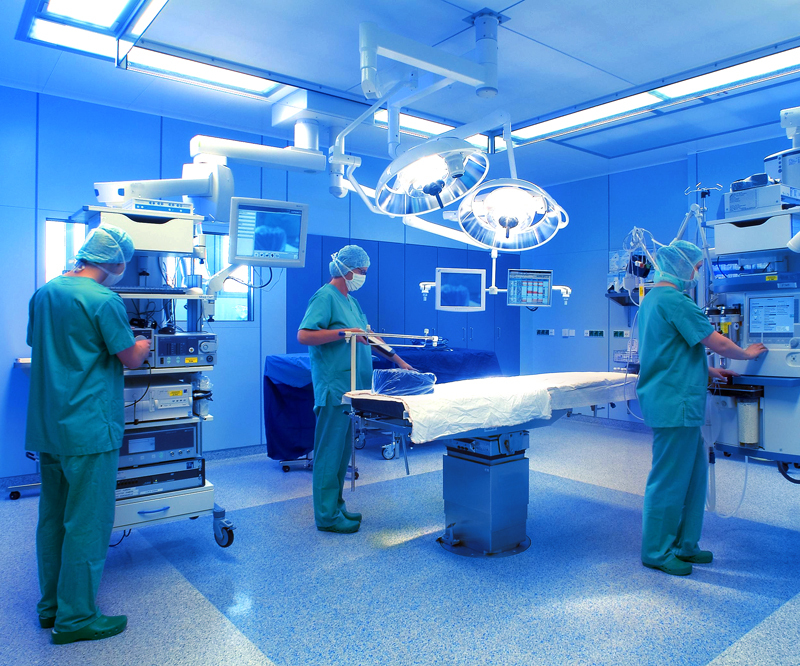 Currently, more than 6,500 medical device companies operate within the United States. Although the majority (80 percent) is represented by small or medium-sized enterprises with less than 50 employees, the overall job potential is massive. Such companies are scattered all across the country, although they tend to concentrate around high-technology industry regions (such as California, Florida, Pennsylvania, Michigan, New York, Texas, Georgia, Illinois, Washington or Minnesota). Advanced medical technology alone is responsible for massive revenue. According to statistical data, this industry has a massive impact on the US economy, generating approximately 1.9 million jobs for Americans and well over $113 billion in personal income for workers in this industry. In fact, the advanced medical technology industry accounts for a whopping $381 billion in national economic output and $191 billion in value-added activity. With an average total salary of $84,156 per worker (including benefits), this extremely profitable industry lies well above the nation’s average compensation level. Moreover, it also provides job diversity and advancement opportunities while also providing workers with wage levels that are clearly family sustaining. Why not hope for devices that are able to scan a person’s body from head to toe and detect a host of symptoms without the need for prodding and painful poking? 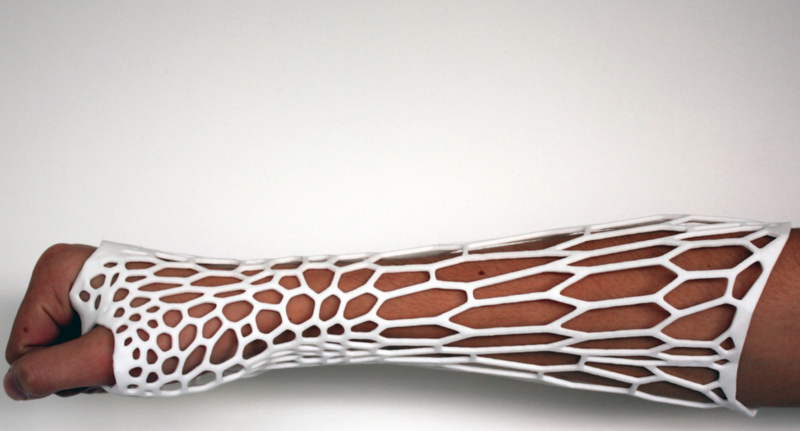 As futuristic as it may sound, there are medical devices capable of nigh-breathtaking feats. There are wearable patches which accurately monitor a patient’s vital signs and display the results for both the patient’s and the doctor’s viewing pleasure. Other companies have developed sensors capable of detecting biomarkers and blood chemicals which signal anxiety and stress. And at the forefront of these endeavors, several medical companies are continuously pushing the limits of “possible” and scratching the surface of “impossible”. In orthopedics, Wright medical has continuously focused on providing trauma surgeons with te ideal biologic and extremity solutions to restore movement and alleviate patient’s pains. Currently, Wright Medical is recognized as the leader when it comes to foot and ankle surgical solutions. Intent on improving overall patient outcomes, Applied Medical Technology Inc has pioneered the Percutaneous Endoscopic Gastronomy movement and has focused its attention on enteral devices. Company employees constantly search for innovation by creating and manufacturing cutting-edge medical devices at the company’s new Cleveland laboratory. In 2014, Applied Medical Technology introduced a special, glow-in-the-dark feeding port and connector set for simple nighttime use. Apart from medical device manufacturers, other medical technology companies provide solutions for inpatient and ambulatory healthcare providers. Greenway Medical, for instance, offers integrated applications which offer the possibility of valuable data exchanges between physicians and the healthcare and stakeholder community. Greenway’s products enhances the relationship between patients and healthcare providers by offering the possibility of self-service as well as online administrative, financial and clinical options. The company’s other web-based applications involve billing services and can be used by ambulatory surgery centers. Meridian, on the other hand, focuses on armed personnel and provides cutting-edge medication delivery devices for emergency situations. Antidote Auto Injectors, atropine pens or morphine auto injectors are just some of the company’s products. Considering an Academic Degree- Why Not Medical Laboratory Science? If a career is what you seek, why not pursue medical technology or medical laboratory science? Obtaining a bachelor’s or a masters degree in medical technology will allow graduates to pursue lifelong and fulfilling careers in academic research, the pharmaceutical industry, clinical laboratory work, public health or teaching. There’s a massive contribution that a medical technologist makes to the healthcare system. It’s not just about studying, diagnosing and treating diseases, but also about developing safer and better technical procedures as well as superior instruments. This paramedical field trains a student in multiple fields such as chemistry, microbiology, radiologic imaging technology or hematology. A number of schools across the US provide comprehensive learning programs although it is advisable to also have some hands-on experience with medical equipment before actually entering the workforce. The University of Maryland’s School of Medicine, for instance, offers a Master of Science program in Medical and Research Technology. With the corresponding certification, medical technologists and degree holders can easily find employment in either a lab or an institute. Apart from the degree, there are some employers who also look for certification such as the American Medical Technologists or the National Credentialing Agency for Laboratory Personnel, so getting accredited is certainly worthwhile. The general timeline for completing your medical technology training is highly dependent on whether you are a full-time of part-time student. Specific degrees also require additional involvement, however, in order to completely go through the courses and requirements for a bachelor’s degree, a full-time student requires approximately 4 years. 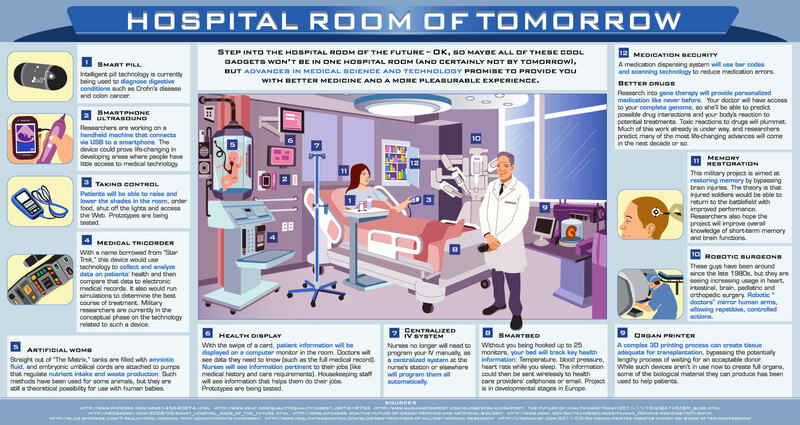 Medical technology will surely continue to seep into the healthcare systems and, as emerging devices pave the way for a brighter, less-painful tomorrow, one can’t stop to imagine a possible cyborg-filled future where life expectancy exceeds our wildest imaginations. There are so many devices we aren’t even capable of imagining. With medical series popularizing the idea of 3D printing, countless potential patients are more comfortable with the idea of accepting printed conduits in their surgeries. But 3D printing has become well-spread in medicine. Printed parts can even replace bones or create communication avenues and even provide prosthetics to those isolated in war-torn regions. Other applications include complete-tumor printing (in the case of extremely intricate tumors, surgeons may prepare for a procedure by printing the tumor and studying its every particularity). But 3D printed components have already done so much more: a Holland resident received a completely new, 3D printed skull. In the United Kingdom, a man underwent face reconstruction surgery where the surgeon included 3D printed components. Flexible electronics, for instance, are the first steps towards a possible cyborg reality. These contraptions are placed around vital tissue and take the shape (as well as mimic the motions) of that particular organ. Perhaps in the future, they will even be design to automatically respond to physiological or biochemical parameters. Google, for instance, is working on such technology. With the diabetic population’s well-being in mind, the tech giant has started working on a glucose-sensing contact lens. Gone are the days of glucometer finger pricking. This device performs glucose readings without the need for blood sampling. What’s most interesting is that, with such devices, the information is instantly sent (and stored) on your smartphone. Electronic patches capable of recording EKG and EEG patterns are also being developed. Other research teams have attempted even larger feats. Illinois University scientists, in collaboration with a team from Washington University, designed an electronic sleeve prototype which can be placed around a beating heart. Granted, in this case, the beating heart belonged to a rabbit. By monitoring the heart muscle’s electrical activity and constructing a 3D representation of it, the team just established the groundwork for further research. In the future, arrhythmic hearts and other electricity abnormalities will be able to be accurately sensed. Physics and medicine have become so intertwined that electrodes are now able to power prosthetic limbs. According to scientists from the Johns Hopkins University, candidates are able to control the prosthetics with their mind by connecting electrodes to the arm stumps. On the other hand, what’s movement without sensitivity? Tactile sensors are now being incorporated in cutting-edge prosthetic hands, allowing the wearer to feel what he is touching. Medtronic has been hard at work attempting to come up with the next-best-thing. Its new Micra pacemaker defies all odds by not having any leads. This tiny pacemaker is placed directly inside the ventricular cavity via minimally invasive procedures (femoral vein access allows the device to be delivered to the ventricle where it grabs the tissue with its metal grippers). Because the device does not involve leads, a number of complications involving pacemakers is eliminated from the start. Technology progress can only work by pulling medicine alongside it and the general public is becoming increasingly aware of this phenomenon. Healthcare information is now available online (and more and more internet users are accessing the information they require online). This trend has encouraged healthcare facilities to use social media in order to reach their patients and although that may seem rather peculiar, it may just be the way of the future in an all-too data-driven world. Yet medical technology has managed to radically change healthcare by reducing suffering and providing superior treatment options. Billions are now able to access improved treatment and recovery options, sophisticated medical procedures and devices as well as new technologies. What remains to be seen is where this ever-flowing story leads!